"Some machines are more than most men can handle!" 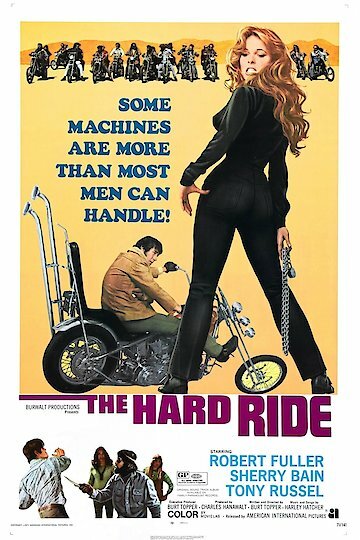 The Hard Ride is about a U.S. Marine who comes home from Vietnam and tries to fulfill a promise to his buddy who died. He agreed to take care of his deceased friend's motorcycle for him and it proves to be more of a challenge than he bargained for when he runs into his friend's old biker gang and girlfriend. The Hard Ride is currently available to watch and stream, download on demand at Amazon Prime online.